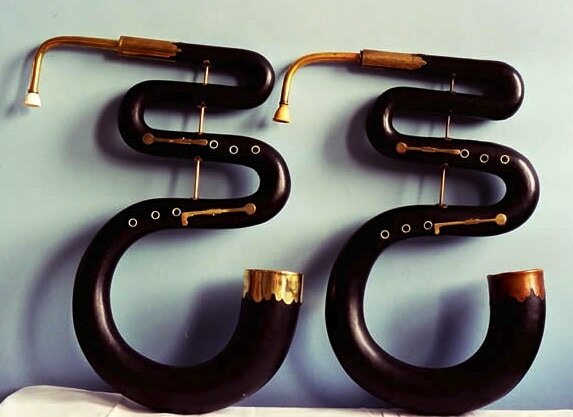 A copy of an English band or military serpent with three keys by F. Pretty c 1840. The military serpents are heavier than the French instruments, with walls 5/16 to 7/16 inches thick. The upper bends are tighter and strengthened by brass stays. The bell is protected by a brass mount. The sound is perhaps a bit more robust and less woody than the French serpents.